Keep everyone up to date using the features that make Marvel the perfect collaboration tool for product design. Add collaborators to projects, assign user roles and leave feedback through comments and annotations. It&apos;s our mission to democratise design and open up the creative process - making design more inclusive, collaborative and innovative. Instant access to all company projects for your directory members, means full visibility for your colleagues and helps you get to your best idea fast. Companies globally are using Marvel to transform how their teams work together throughout the design process. 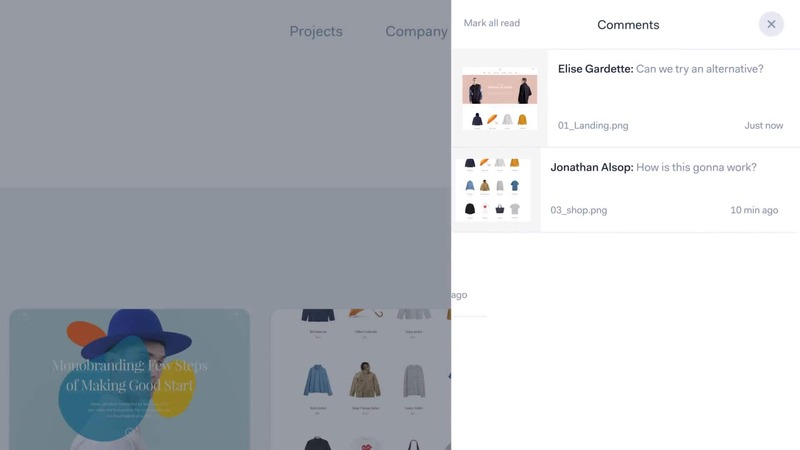 With our collaboration features users share designs, receive feedback and make changes in one place. Helping them move faster and communicate better. Keep company projects organised for internal and external stakeholders by building folders for different teams or related projects, whatever works for you. See who’s working on what and get activity notifications in real-time, whether they&apos;re design changes or feedback left in comments. Set access and permissions to projects for everyone in your team from admin to external reviewer, ensuring you the security and control you need. Join nearly 2 million people collaborating with Marvel. Get started for free.